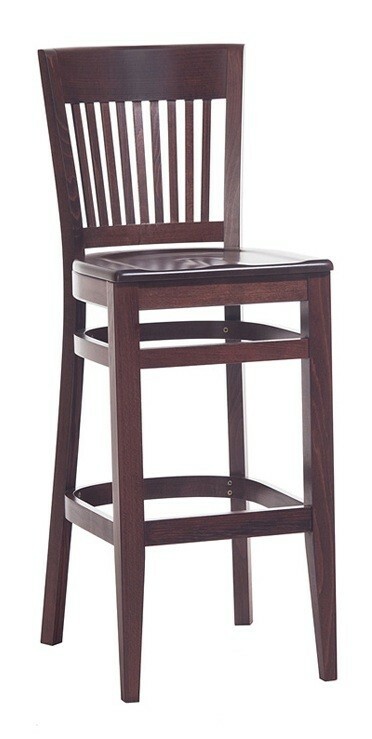 Wooden stool available with veneer seat or upholstered seat. Seat height 760mm. Matching chair available.